Iron Man is a superhero movie that exists on a fulcrum, toeing the line between the modern style of superhero we have today, and the old style of comic book inspired movies that were the norm back in 2008. 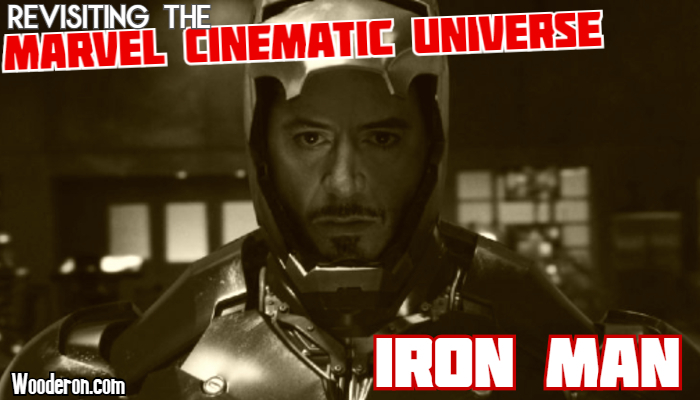 By the standards of when it came out, Iron Man was a refreshingly new take on the genre, one that dared to treat its source material a little more respectfully. Today: it feels almost slow and serious in comparison to what has come since. By 2008 there were no shortage of superhero movies to pick from, Sam Raimi had made three Spider-Man movies, which were met with critical praise and financial success. There had also been three X-Men movies, two Fantastic Four movies and a Hulk movie, just to name a few. But there was a unspoken stigma over these movies. Despite them being successful from a outside perspective, there was always a sense of apprehensiveness around them from the people making them. The inherent silliness of many of these characters, their costumes and the situations they’d find themselves in seem to be something that needed to be filtered by Hollywood for their audiences. Characters and origins were often reworked to fit into a more traditional set of movie character archetypes. The brightly coloured spandex of the X-Men never came close to showing up in those original X-Men movies. But that didn’t seem to be enough for a pre-Iron Man Hollywood. So these movies all became inherently campy. Despite any serious story that was attempted to be told, the movies needed to make that wink and a nod at the audience that told them “We know and you know this is all very silly, it’s intentional so don’t worry.” It was almost apologetic, having to make the audience complicit in what was happening so they didn’t ever have to worry about what they hell they were watching. Then Iron Man came out and changed everything. 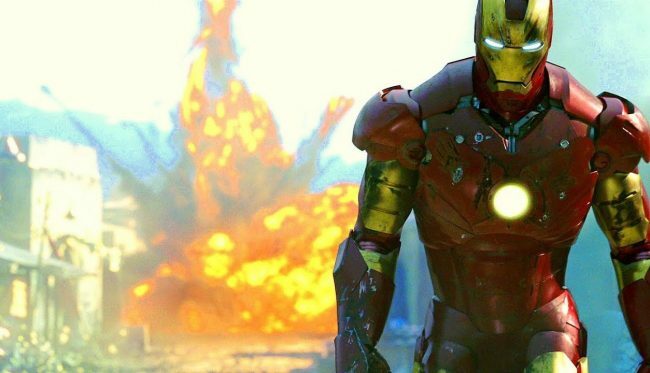 While still holding onto a lot of the traditional values of the movies of the time, Marvel made a movie that was much more faithful to the source material in terms of tone and character, it’s a blend that worked perfectly, making the first Iron Man into feels like it can still appeal to people who don’t necessarily care for the superhero genre as it exists today. Returning to Iron Man, it was refreshing to watch a movie that runs at a slower pace. It’s something I touched upon when talking about Captain Marvel recently. It doesn’t feel the need to throw action, special effects or crazy situations at the audience constantly. The action and crazy situations are certainly there, but they came from a more smaller, more personal place. Iron Man is a character study, taking this very much larger than life character and showing him grow into something else. It’s grounded in a way the franchise rarely is anymore; Tony Stark is just a man in a suit, the villains are just a corrupt business man and a group of middle eastern terrorists. It’s a character driven story rather than a plot driven one. And it achieves this by being completely earnest with its source material. Sure, Tony Stark is certainly one of the less fantastical characters from the comics (which is entirely not true whatsoever) but it embraces his wild world and outlandish character and takes him on a journey without once giving that embarrassed look out at the audience. As it turns out, Hollywood’s fears surrounding what audiences would and wouldn’t accept turned out to be totally unfounded. An audience is totally willing to accept any degree of silliness happening on screen as long as the movie has invested them in what’s going on. Just look how that first Star Wars turned out compared to all the nervous looks between actors beforehand. Like most things Hollywood though, with so much money on the line, things begin to swing too far in the opposite direction. The balance that seemed perfect in this movie between taking itself seriously and the utterly irrelevant silliness of certain aspects only swung further in the direction of the latter as the the franchise grew. At a certain point, the desire to dig into the more bizarre aspects of the source material became a detriment to the movies that were coming out. It didn’t ruin them by any means, but it made them weaker as an individual movie, focusing instead on them being a single entry in a massive series. As much as I enjoyed Thor: Ragnarok, there is basically no character work in that movie. Thor has become a static character, with no real scope left in terms of his own development as a character. Bar life changing events that come out of nowhere and alter his stable situation. Like a sister he knew nothing about for example. And that’s what has really been lost in the MCU that the original Iron Man has in spades. Tony is a multi-layered character, with flaws upon flaws for him to peel out and deal with. 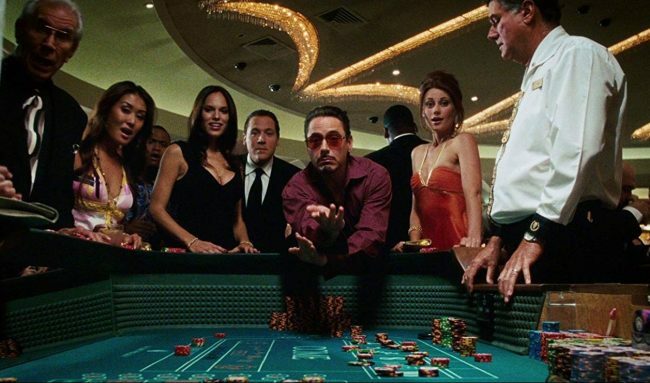 The first movie only scratched the surface of the train wreck of a human being Tony Stark actually is. 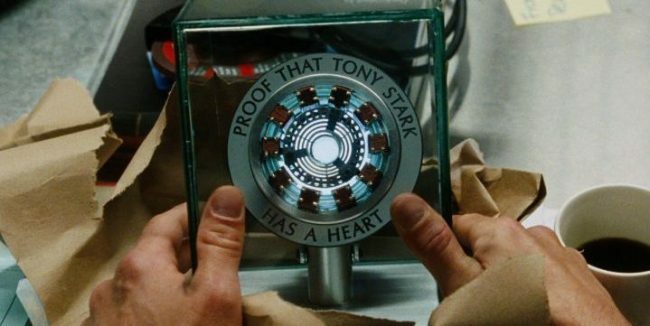 While Tony ends this first movie a more moral person, there’s still a lot of questionable stuff going on regrind his personality, which continue to get developed in every single one of his appearances throughout the franchise going forward. Scott Lang, Steven Strange or Carol Danvers never get the lens to focus on them in the same way it does on Tony Stark. You could argue it’s because he is an inherently more interesting character, with his long list of character defects… But as the pacing and tone of the movies have changed, there’s no opportunity given to make them as interesting. There is a simplicity to this movie that is increasingly difficult to justify in the newer movies as the MCU rolls on and continues to grow. There is a need to connect the universe, bring in characters from other movies and make every movie exist in the wider MCU, which is fantastic if you’re totally on board with the franchise. But it’s intimidating if you’re only sort of interested. While there are rails being laid for what Marvel obviously had planned for the future, Iron Man still completely stands on its own, in a way that’s almost unique to it and a few other movies in the early days of the franchise. It’s a relic of a different time, and one that I don’t foresee us getting again in the three movie a year plan Disney has for the series. My only hope is that the series being planned for their Disney+ streaming service fills this void left what continues to be one of the best movies in the franchise. Posted on April 16, 2019 April 16, 2019 by WooderonPosted in Features and/or Ranting:, MoviesTagged gwyneth paltrow, iron man, jeff bridges, jon favreau, marvel, marvel cinematic universe, mcu, robert downey jr., tony stark.